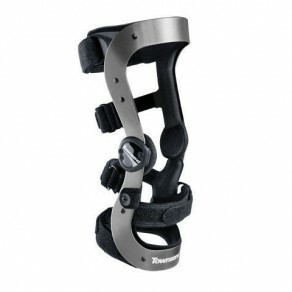 Townsend Design is the ONLY brace manufacturer that makes pre-sized ligament braces from multiple leg measurements to ensure a customized fit at no additional charge. This is especially beneficial for patients who have disproportional leg sizing (i.e. large thigh, small calf). Rebel Series aircraft aluminum braces are low profile, lightweight and feature patented Townsend Motion Hinges. Available in several colors.